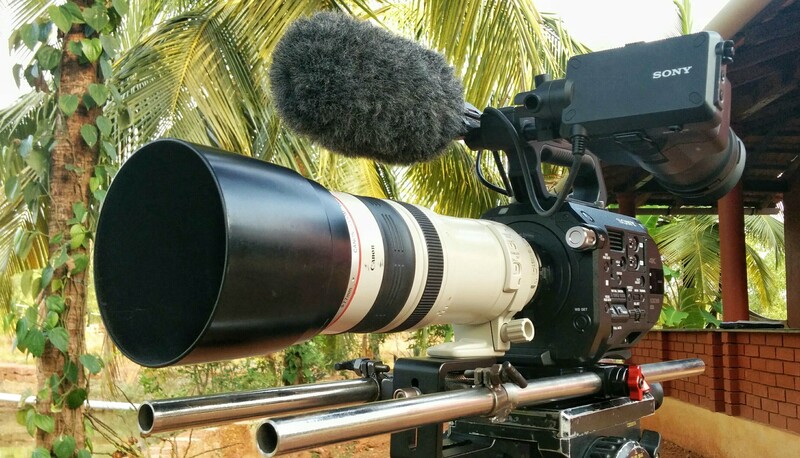 When I got my hands on the FS7, malady I knew I had a steep learning curve ahead of me – not necessarily because it is a difficult camera to use, patient but because this was the first time I was going to be using a professional 4K Video camera – and I did take my time trying to familiarize myself with all of its ins and outs. The menu system is complex at first, buy at least to a Canon user, but what I found really useful was the convenience of 6 user assignable buttons combined with the ease of navigation provided by the controls on the handgrip. Again, a customizable menu with one of the assigned buttons leading straight to it made it much easier to start using the camera and circumvent the rest of the complex menu. The only drawback being, if you suddenly realize you need to access a setting for something you forgot to place on the customized menu, you find yourself just a little lost. I found the ergonomics of the camera well designed, with the customary set of controls laid out on the side, including buttons for auto-focus and auto-iris on com patible lenses. But what sets this camera apart is the remote handgrip, which is part of the basic kit and gives you all essential controls in one ergonomically convenient location – including a joystick to navigate through menus. In fact, the controls on the side of the camera body are rather cumbersome to use especially while navigating through menus and thumbnails, so having the remote grip attached helps. The arm of this remote grip attaches to the side of the camera using a standard ARRI Rosette mount, which, combined with the shoulder pad built under the camera body makes it essentially ready for run-and-gun use almost out of the box – that is, if you don’t intend on using a very heavy lens. But since I had no interest in run-and-gun usage – and was pretty sure I would be using heavy lenses – I had to spend some time figuring out how I would mount the camera. I used a Wooden Camera 19mm Bridgeplate and Dovetail to mount the camera on a Cartoni tripod. Next, a slightly modified version of a Genus-Tech long lens support for the Canon 100-400mm lens I was going to be using. Power was also an issue for me, since some initial reading suggested that the FS7 simply guzzles battery power, and having a bunch of extra batteries was absolutely necessary for long shooting days. I eventually went with one BP-U30 battery (supplied with the camera) and one extra BP-U60 battery, which gave me about 4 hours of continuous usage at 4K resolution. Getting back to the learning curve, it was steep but not frustrating. Although the Sony website itself was rather cumbersome to navigate, I did find some really good resources online explaining in detail the nitty-gritties of what the camera does, including its CineEI mode and S-log^ gamma curve. It was great to come across a comprehensive 25 chapter master-class for $85 on Vimeo, and though I only watched the first introductory session which was free, something like that could be very useful for someone who has purchased an FS7. Another excellent guide especially for getting a better understanding of CineEI and S-log is this detailed blog. By the end of day two I was ready to take the camera out for a spin. The footage, as many have expressed all over the internet, looks amazing – with its flagship specs of internal 4K upto 60fps and 150fps* at FHD. (A quick aside about the 150fps – nothing will ever be enough, will it?!) One of the really nice things about the Slow and Quick motion mode – which lets you set your frame rate all the way from 1fps up – is that the timecode reflects the duration of video actually recorded, as opposed to the capture time. Apart from the S&Q mode, there is the very useful Picture Cache option, or ‘pre-record’ mode. Unfortunately, at high resolutions such as 4K this feature is more of a namesake, as it gives only upto 2 seconds of pre record which has little practical application. At FHD you get upto 13-15 seconds of cache time, however the frustrating part is that the Picture Cache function cannot be used in S&Q mode. Which is to say that pre-record is not available while shooting high speed, and that’s a major downer. The FS7 of course has all the other little features that one would expect from a cinema style modular camera, such as built-in ND filters in increments of 1/4, 1/16 and 1/64, and good peaking and zebra bar options. The only irritating thing being that peaking automatically gets disabled when Picture Cache is turned on, and then has to be turned on again manually even if you turn off Picture Cache. I was also disappointed that the camera does not have a timelapse intervalometer mode. – While recording S-log, and using an M-LUT^^ on the viewfinder output, the camera is unable to display any sort of graphical exposure information such as histogram or waveform monitor. It would be useful to have that information for the S-log signal, even if there is a LUT applied on the image on the viewfinder. – While recording at 4K, the graphical exposure information is displayed only when the viewfinder output setting is set to ‘Letterbox’ as opposed to ‘Edge Crop’. Unfortunately when switching between FHD and 4K, this setting gets automatically reset to Edge Crop sometimes, which becomes a hindrance if this switch needs to be made in a hurry. – The viewfinder is poorly designed, to say the least. It attaches to the camera on a short rod molded onto the top of the body, and provides limited flexibility. – User assignable buttons cannot be assigned to the record function – although, there are 3 record buttons, including one on the remote grip. – For some reason, the shutter angle keeps getting reset to 300° when switching back and forth from S&Q mode. – Peaking automatically gets disabled when Picture Cache is turned on, and then has to be turned on again manually even if you turn off Picture Cache. 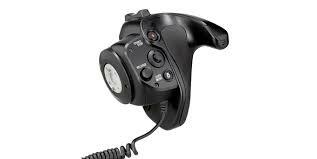 * The camera records upto 180fps when set to NTSC on a time-base of 30fps, as opposed to 150fps in PAL mode. ^ S-log is Sony’s ‘gamma curve’, which is essentially defines the sensitivity of the camera to brightness. Using a gamma curve one can record higher dynamic range, which results in a ‘flatter’ image but gives more room for enhancing colors in post-production. ^^ LUT is a ‘Look Up Table’ which applies some basic color correction values to the image recorded using a gamma curve, to give an idea of what the end product could look like. M-LUT is simply a Monitor-LUT, applied to the image being displayed on the monitor, or viewfinder. Good hands on review! I agree the FS7 is a promising little chunk of technology that can quickly grows into a beast with all the add ons and accessories needed to kit it out, but again for the price it’s a great deal to enter the 4K world. 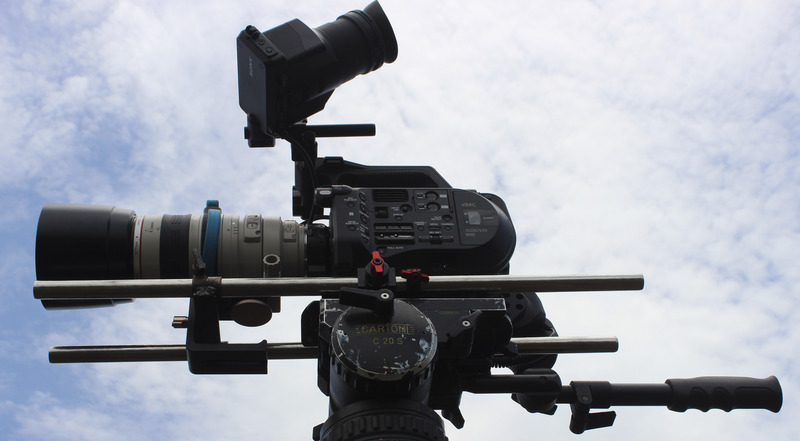 Supports Sony FS7/FS700 4K & 2K RAW, high bit-depth HD derived from 4K, recorded as CinemaDNG .dng. NOTE: FS7/FS700 4K/2K RAW data is recorded as .DNG files. 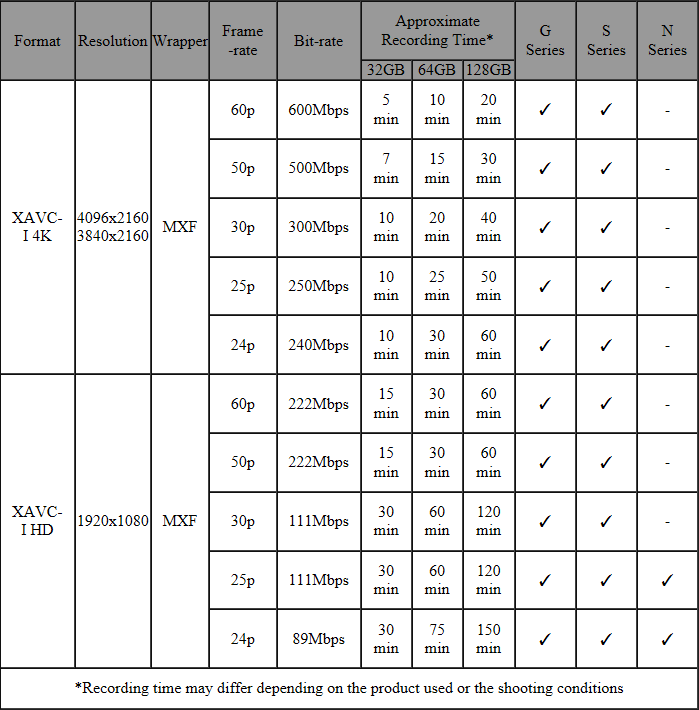 Future firmware updates will support FS 4K Raw to 4K Apple ProRes 23.98,25,29.97, other recording options.